Support our work helping people in need. Make your gift on Arizona Gives Day! Plan Ahead for the 2018 tax credit! Plan ahead for your tax credit donation for your 2018 Arizona State tax return. While you may be familiar with the school tax credit in Arizona, you may not know that in addition to a school tax credit donation, you may also make a tax credit contribution to a Qualifying Charitable Organization in the same year. The Poore Medical & Dental Clinics are a Qualifying Charitable Organization. You can start making tax credit contributions for your 2018 tax return now. Q: How much can you donate? A: A married couple filing jointly can receive a maximum tax credit of $800. If you are single, or an unmarried head of household, or married filing separately, you may receive a maximum tax credit amount of $400. Q: How do you qualify? A: To qualify for the tax credit, you simply need to claim the contribution on your 2018 Arizona tax return. This tax credit may be claimed in addition to other Arizona tax credits, such as those for public schools or school tuition organizations. Q: How do you donate? Are you a Registered Nurse? We need you! The Clinic needs more nurses to volunteer on Tuesdays and Thursdays. If you would be willing to give a half-day once a month, it would greatly benefit our patients. Please contact Genevieve Conley, RN at 928-213-5543. 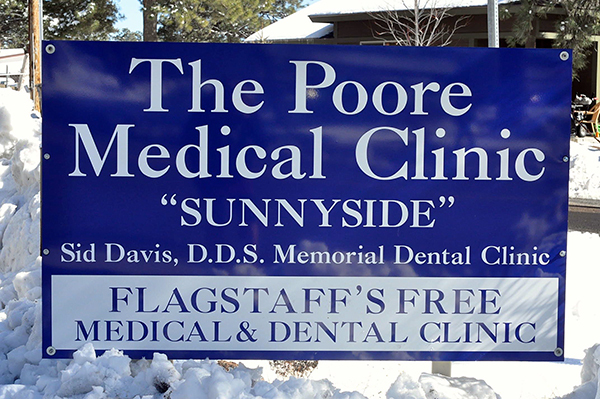 Does your Flagstaff dentist volunteer at our Sid Davis, DDS Memorial Dental Clinic? We currently have a backlog of six months for our patients waiting to see a dentist for primary dental care. 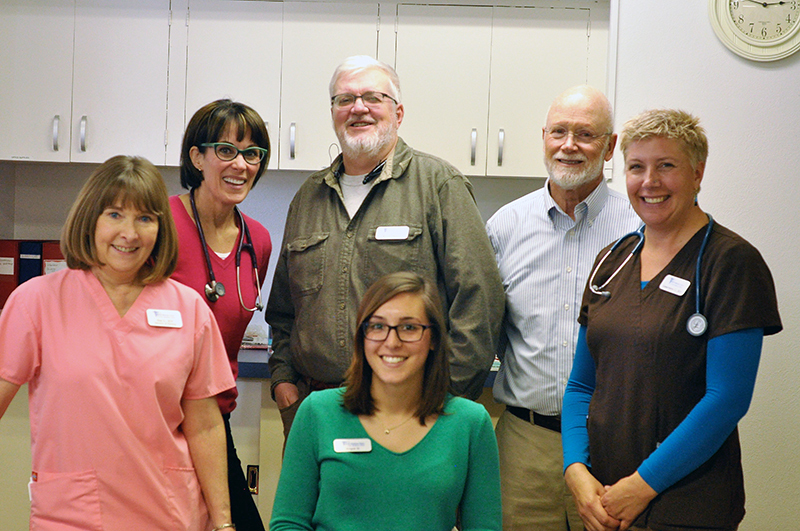 There are 72 dentists in Flagstaff and eight of these wonderful professionals volunteer to see patients at our dental clinic. Please ask your dentist whether she/he also volunteers to see patients at our dental clinic. If the answer is yes, please say Thank You on behalf of our grateful patients. If the answer is no, please ask them Why Not? A dentist volunteering even one half of one day in a month will help us provide professional dental care to people in need. If you have questions about your eligibility for our services or to schedule an appointment, please do not send email, but call us at 928-213-5543. In Memoriam ~ Henry W. Poore, M.D. For memorial donation information, please visit the Arizona Community Foundation Page for Dr. Poore. So long as a spark remains, a fire can start. 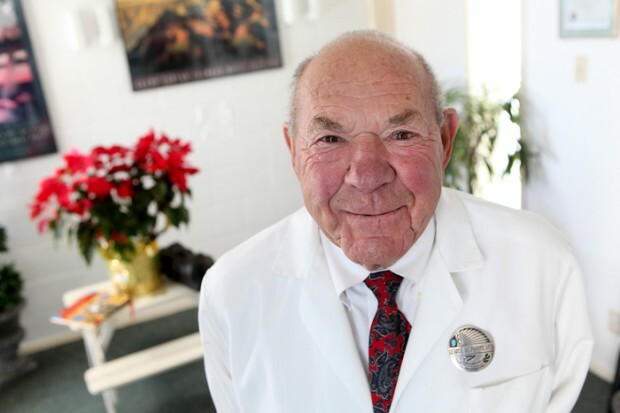 At 80 years old, when most people sit back to watch the world go by, Dr. Henry Wayne Poore and his wife Nina stood up and organized Flagstaff’s first wholly free Medical Clinic. 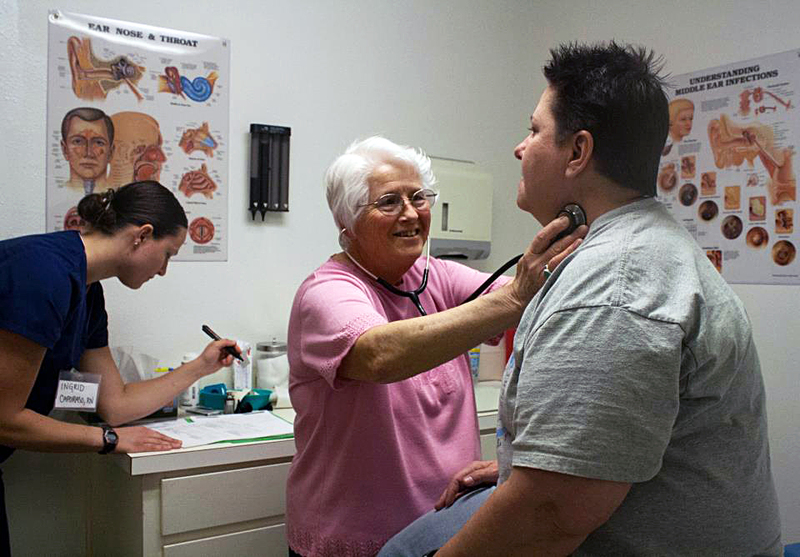 The opening of the clinic in 2011 culminated a life of service and community—one that touched the lives of thousands of Arizonans and took him and Nina to Kenya, Honduras, Alaska, Mexico, the Navajo Nation, and the shattered aftermath of Katrina. Some people derive joy from their work. Henry Wayne Poore did more than that—he wove joy into his work every day. For thousands of patients and hundreds of friends, a visit with Dr. Poore included humor, music, or stories. He healed bodies and uplifted souls. The spark is not extinguished. It is merely passed on—to you. We hope you will continue Dr. Poore’s efforts to deliver the care that’s needed, woven with the joys life requires. for the low-income, uninsured people of Northern Arizona. The Poore Medical Clinic is looking for someone with strong data entry and computer skills to help us with our statistical information. We would welcome someone to come in for training in February. We also have an ongoing need for dentists, dental assistant, hygienists, nurses, medical assistants, and doctors. We also need volunteers to help with office and clerical work. 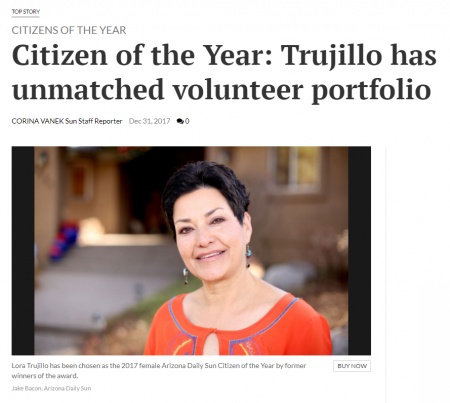 If you are interested in Volunteering, call us at 928-213-5543, or through our online contact form.